Elliott Scott Productions - trailers, photos, etc. Montell Jordan, Chaka Khan: [singing] Baby, there ain't no mountain high enough / Ain't no valley low enough / Ain't no river wide enough to keep me from getting to you. In Defence of "Shadows" Vocalists. Although this is probably not the best documentary I've ever seen, the musical perfomances more than make up for it. After all these years, The Funk Brothers are tight as hell! It's also overwhelmingly inspiring to see musicians playing their music so well, and just enjoying it. The looks on the faces of the Brothers while playing are priceless. As for the "new" singers on each track, I was extremely happy with these renditions of classic Motown songs. Yes, Joan Osborne is mostly known for her 90s hit, "One of Us," but she also is an amazing soul singer who KNOWS her music. I defy anyone to listen to "What Becomes of the Broken Hearted" and tell me that it was not an inspired performance. Also Ben Harper and Gerald Levert do fine turns on classic Motown. Sure, these aren't "A-List" superstars of today. But would it really be about the music if (shudder) Whitney or Mariah got their hands on these songs? 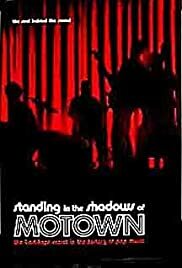 And lets face it, the few Motown artists from that era that are still touring today are shadows of their former selves. 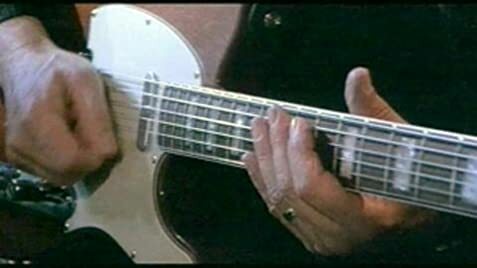 The vocalists in "Shadows" are well-picked, respected members of a musical elite, who are in touch with their roots, and show that respect in every note they sing, much like the Funk Brothers themselves.